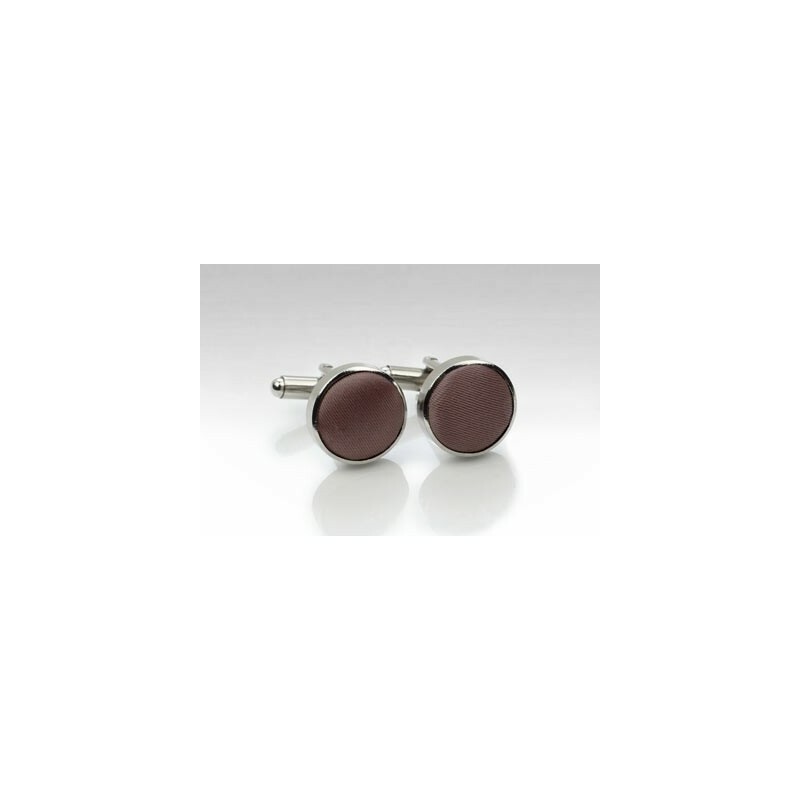 These dark chocolate brown cufflink sets were made as a matching formal accessory to PUCCINI's dark brown necktie and bow tie (see those items via links below). 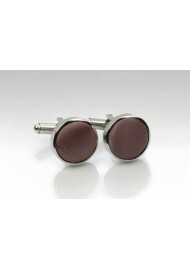 A fancy cufflink set made from polished silver studs covered with satin finish fabric in dark brown. Add to any white, ivory, yellow, green, tan, or blue shirt for best looks.